Add a FRESH NEW DESIGNER LOOK to any room with this pillow cover made for any size of pillow. It features a gorgeous Wave pattern in an array of Turquoise with Coral and Gray on a soft white background. It is made up of 100% decorator weight Indoor Outdoor fabric. It is stain, water and Sun resistant perfect for those sun porches. 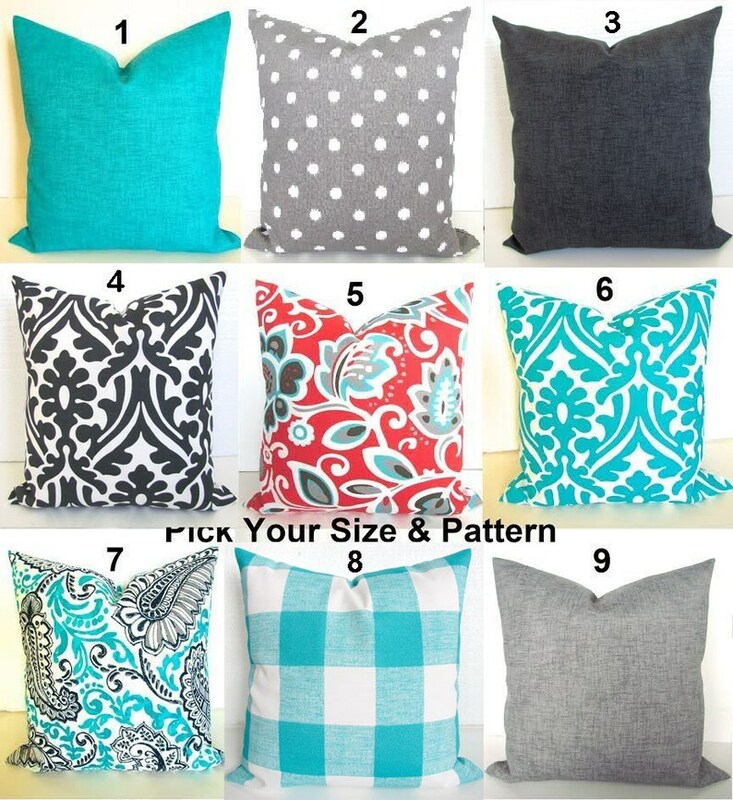 ORANGE PILLOWS Orange Teal Throw Pillow Covers Turquoise Outdoor Gray pillows Euro Shams 24x24 26 18x18 All Sizes Aqua Pillow Covers Sale. This is at least the third time I have purchased from this seller. The pillow covers are well made with great weighty fabric. They are a perfect addition to my home, which blends traditional, rustic and modern pieces to make a comfortable and inviting home.